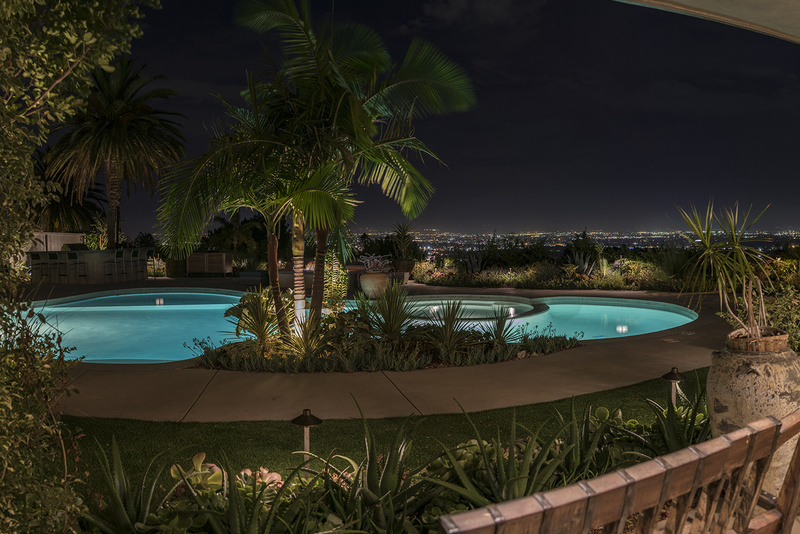 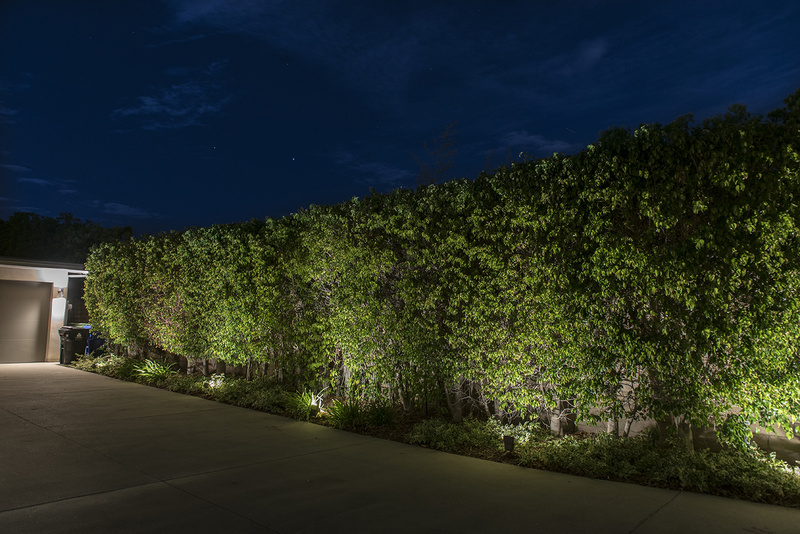 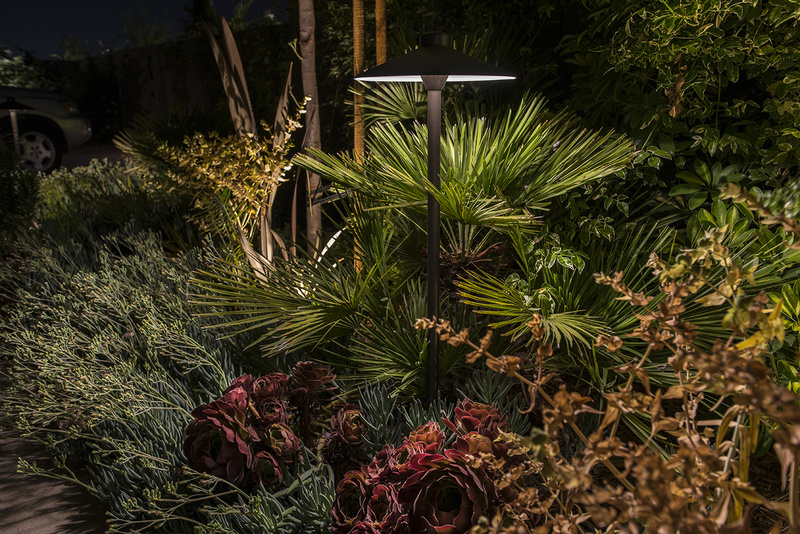 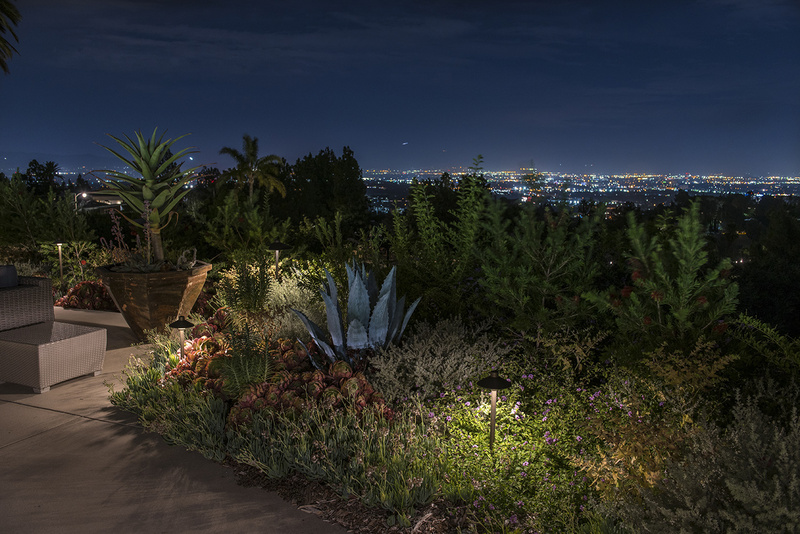 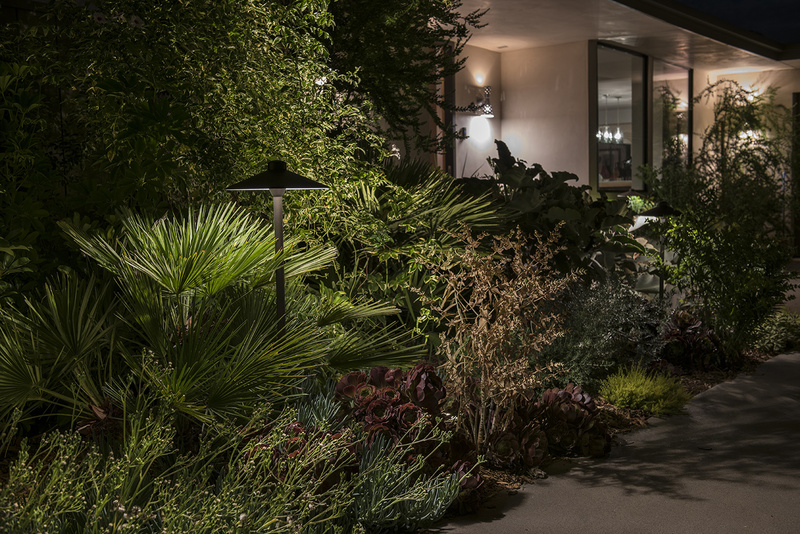 Subtle landscape lighting accents were added to the beautiful landscaping of this Encino California home. 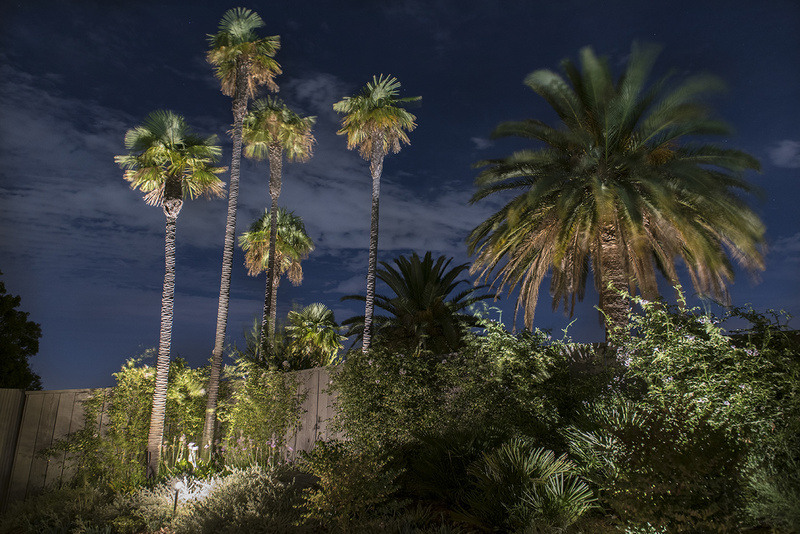 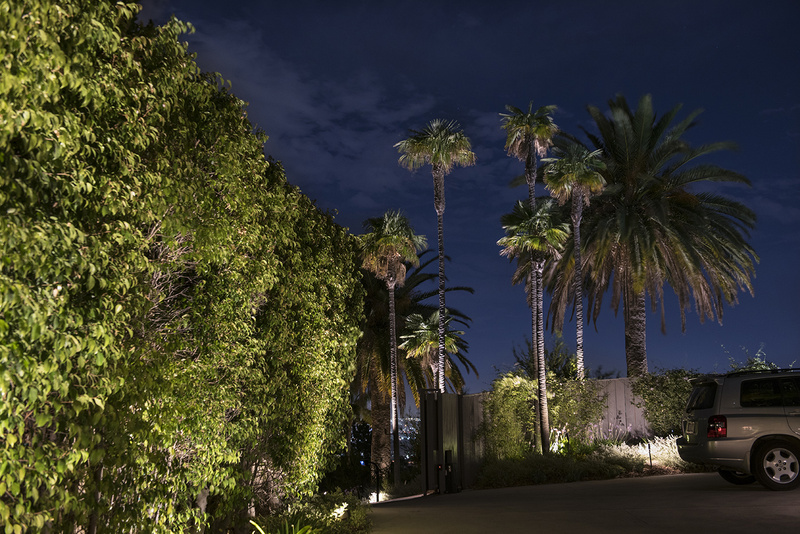 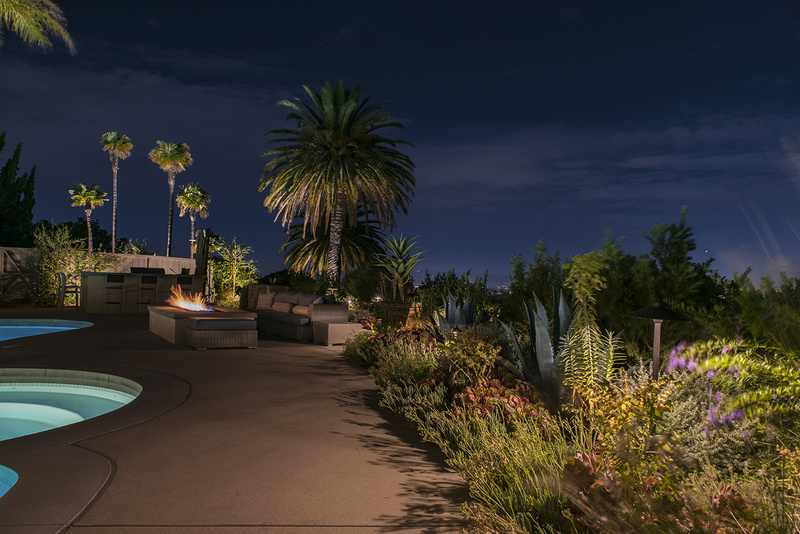 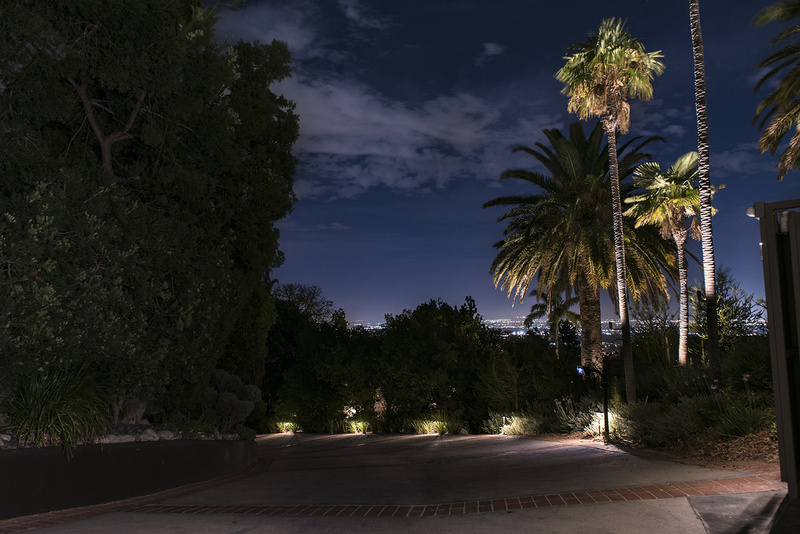 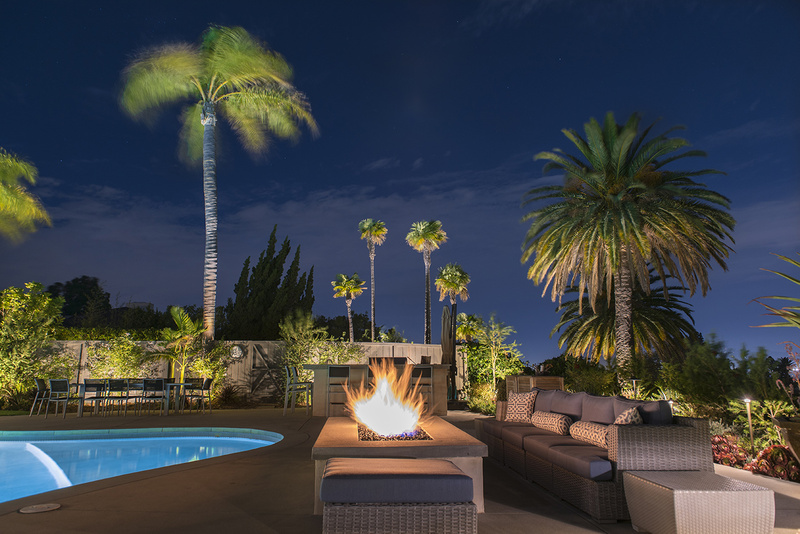 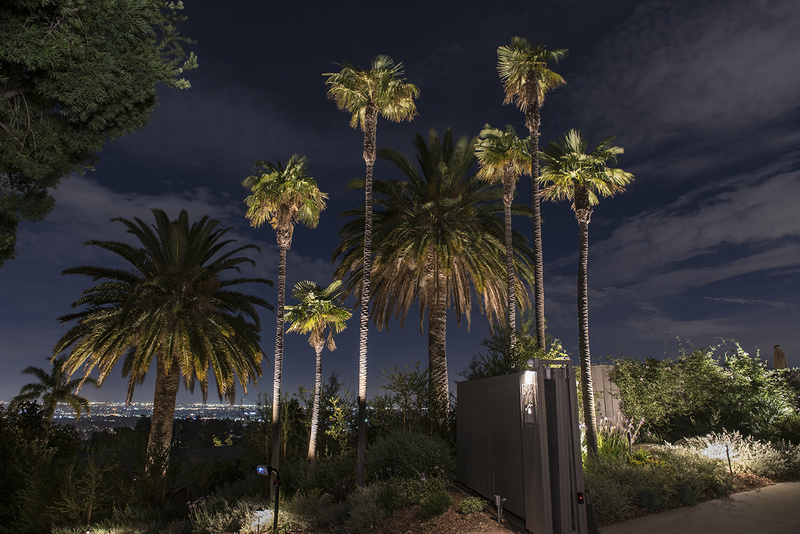 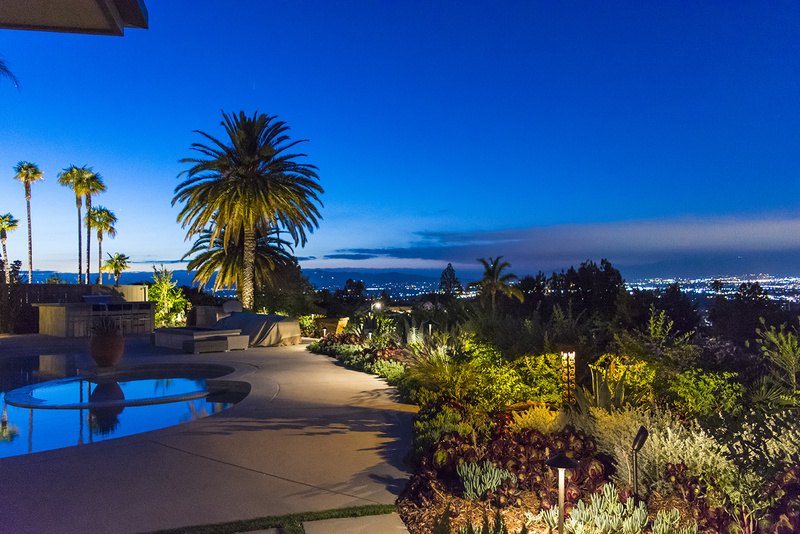 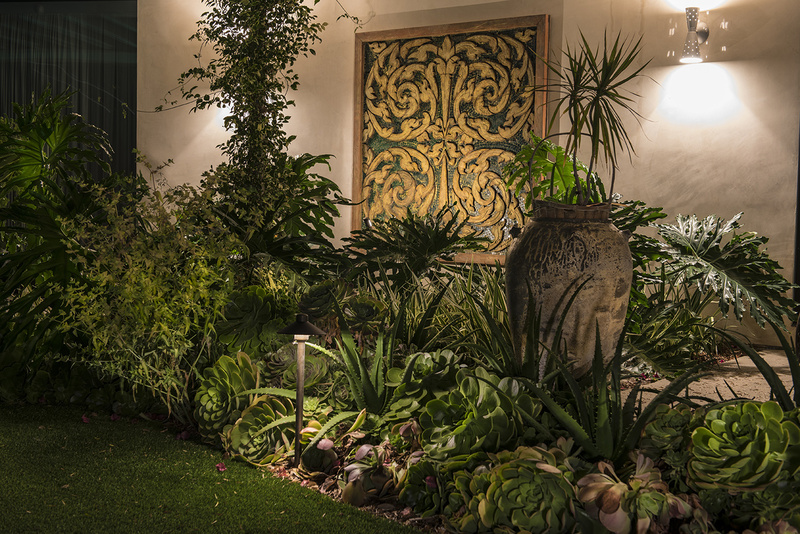 The goal was to keep the lighting low so that it did not conflict with the view of the Los Angles valley skyline, yet we wanted to call attention to the beautiful succulents and palm trees on the property. 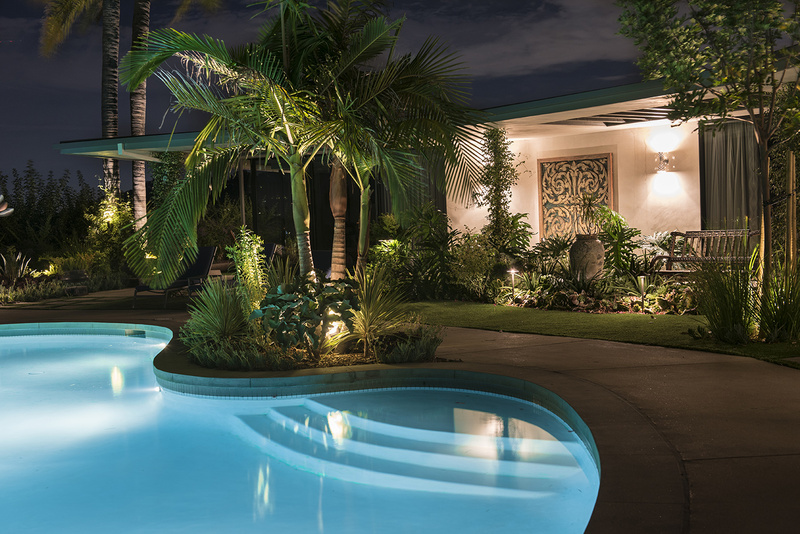 The result is an outdoor living space that greets its residents and guests with a warm and inviting space for entertaining and relaxing in a resort-like environment.